News – Page 2 – Reelsound Recording Co.
FOH mixer; Miguel Lara, Las Fenix members, Engineer; Dany Fender, Live recording engineer; Malcolm Harper, Reelsound crew Mason Harlow and Greg Klinginsmith. 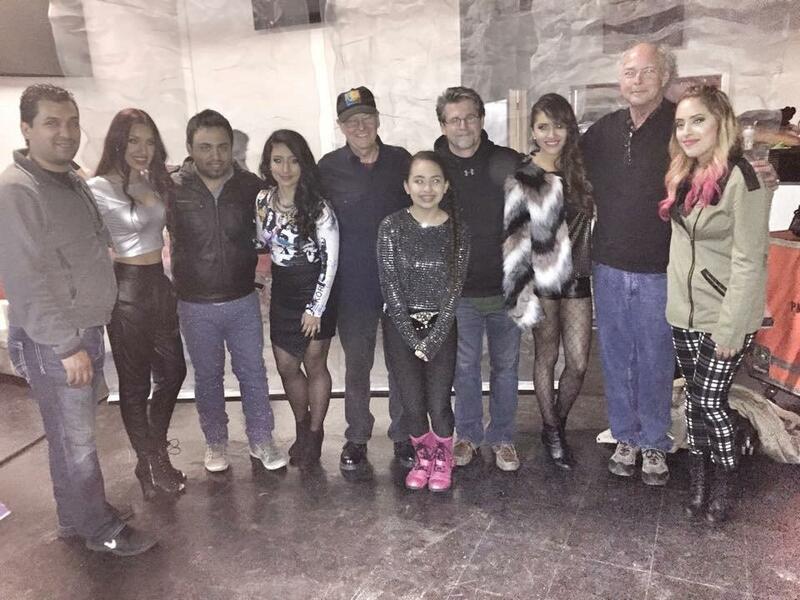 Trompo! 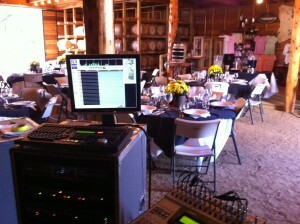 Entertainment, 4×4 Productions and Las Fenix hired Reelsound’s mobile audio truck to record the latest DVD/CD release. 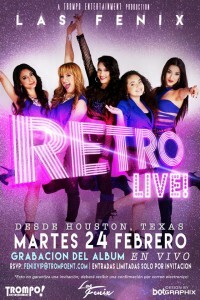 TV producer Ruben Robledo and David Rodriguez produced the project at the Vertigo Club in Houston, TX. Live recording engineer Malcolm Harper along with Dany Fender oversaw the audio with Mason Harlow and Greg Klinginsmith assisting. 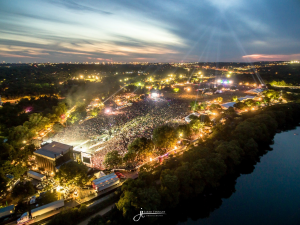 Reelsound’s mobile audio truck recorded and streamed music during ACL music fest 2015. Bands that played the Samsung Galaxy stage were Meg Myers, Royal Blood, Billy Idol, Tame Impala, Foo Fighters, Echosmith, Glass Animals, Twenty One Pilots, A$AP Rocky, Drake, Jidenna, Lord Huron, Ben Howard, Of Monsters and Men and The Stokes. 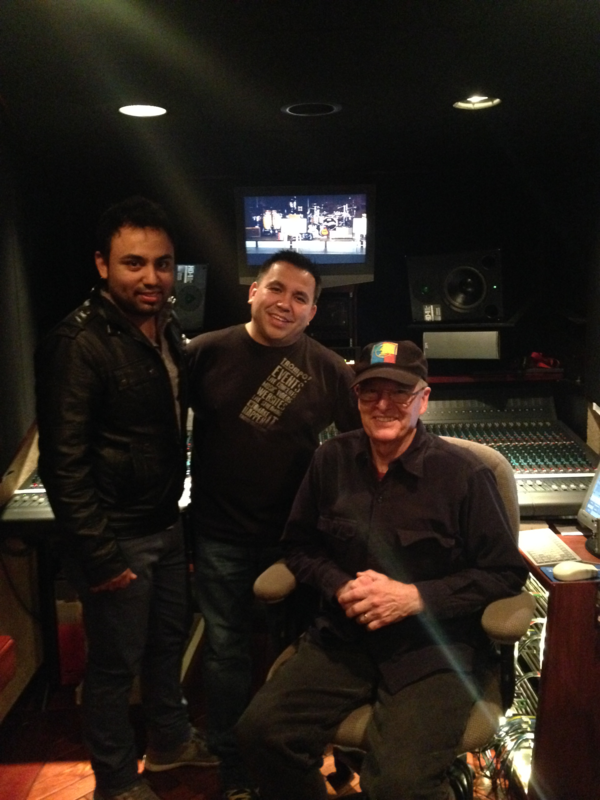 Mixing the 3 days of performances was Malcolm Harper assisted by Mason Harlow, Carl Harper with interns from TX State University Recording Arts program Sarah Garber and Taylor Lewis. 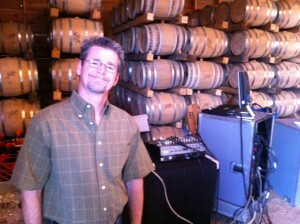 Springboard Productions owner Hank Neuberger produced the steaming event for Redbull.tv. 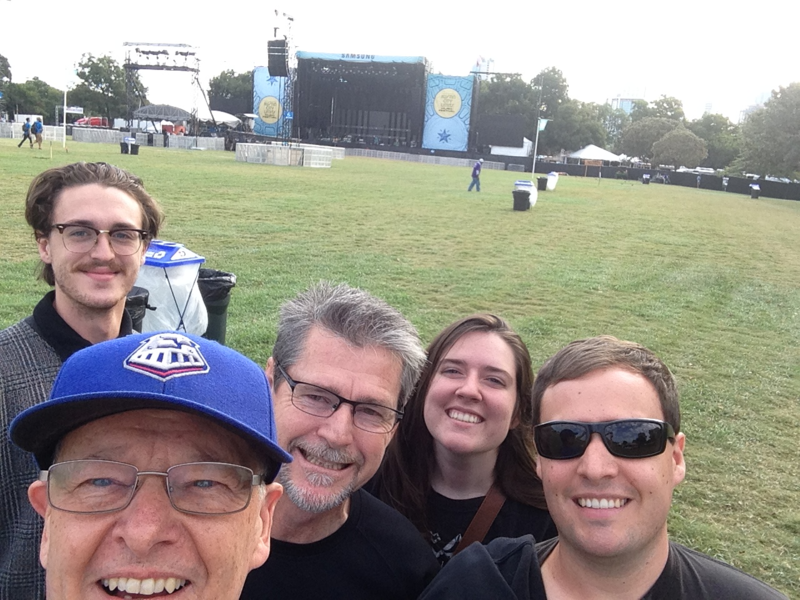 Taylor Lewis, Malcolm Harper, Mason Harlow, Sarah Garber, Carl Harper; Reelsound audio crew. 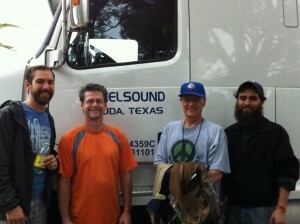 Reelsound Recording Co.’s mobile audio truck was in for the “College Playoffs” music from Dallas, TX. One of the coldest weekends was a time for some of the hottest artist the weekend before the 1st College Playoffs game in January. Owner and mixing engineer Malcolm Harper assisted by Greg Klinginsmith and Mason Harlow handled the streaming broadcast featuring Ken Hilson, Vintage Trouble, Echosmith, Lenny Kravitz and STING. The event production producer was Jonathan Foucheaux with Solomongroup and Artist producer Graeme Lagden with Graeme Lagden Nancy Davis Entertainment, Inc.
Reelsound’s mobile audio truck was on hand at the Southwest Airlines Stage in the Bud Light Amphitheater for the “Freedom Over Texas” 4th of July Broadcast. The ABC Fireworks broadcast featured Grammy award winning country music star, Jennifer Nettles. Chip Esten and Clare Bowen performed songs from their ABC hit series “Nashville”. 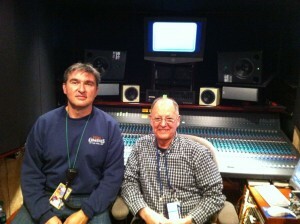 This was the 18th year engineer-owner Malcolm Harper mixed the live music show for Disney affiliate KTRK-TV in Houston. Assisting Harper was Greg Klinginsmith, Mason Harlor and Carl Harper. Rick Herring directed the two hour special and Jason Martin handled the TV audio. Grammy winning artist Jennifer Nettles. 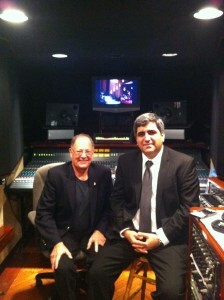 Live recording engineer’s Malcolm Harper and Roberto Rincon set to record the Houston Latin Philharmonic Orchestra Concert at the Cullun Theater. The Houston Latin Philharmonic Orchestra’s Christmas holiday concert was recorded this season using Reelsound’s mobile audio facility. 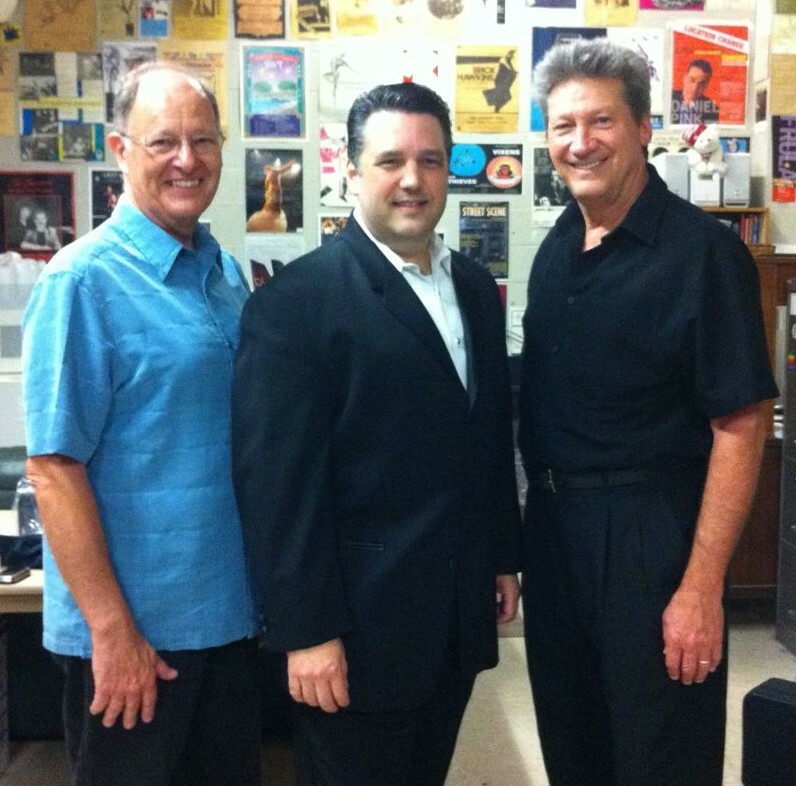 Engineer Roberto Rincon from Miami assisted Malcolm Harper and the Reelsound crew Greg Klinginsmith and Mason Harlow on this concert event at the Cullun Theater in Houston, TX. 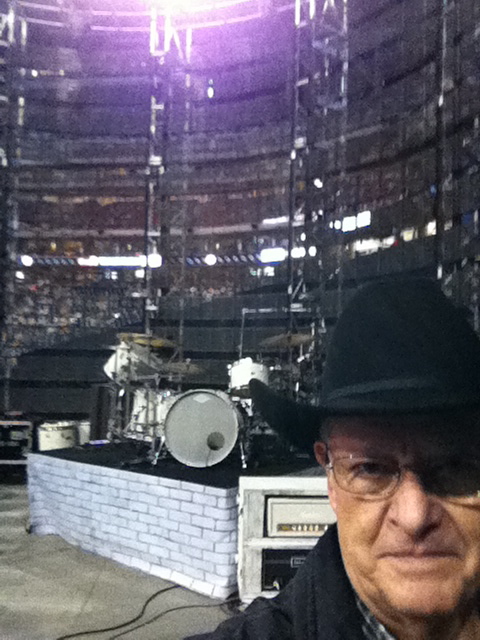 The Reelsound crew and mobile audio unit handled mixing for “Kid Rock’s” pep rally concert broadcast before the 2014 mens NCAA Final Four game between Kentucky and Florida at AT&T stadium in Arlington, TX. This marked the 3rd year Malcolm Harper mixed the musical performance for the pre-game show broadcast. Harper was assisted by Greg Klinginsmith, Will Harrison and Mason Harlow. 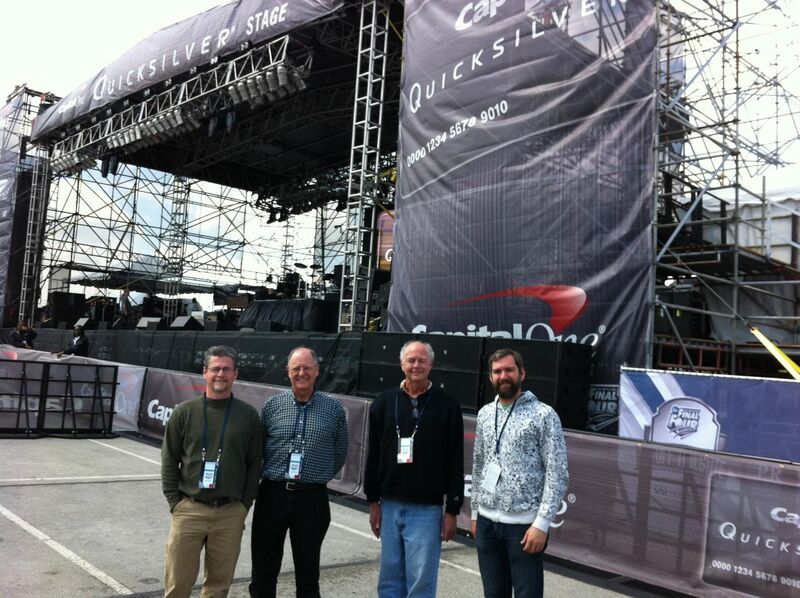 Reelsound audio crew; Mason Harlow, Malcolm Harper, Greg Klinginsmith and Will Harrison before 2014 NCAA Final Four Pep Rally concert with “Kid Rock” in Arlington, TX at the AT&T Stadium. FOH mixer; Steve Cross and Reelsound Broadcast mixer Malcolm Harper set for 2014 NCAA Final Four concert with “Kid Rock” in Arlington TX. 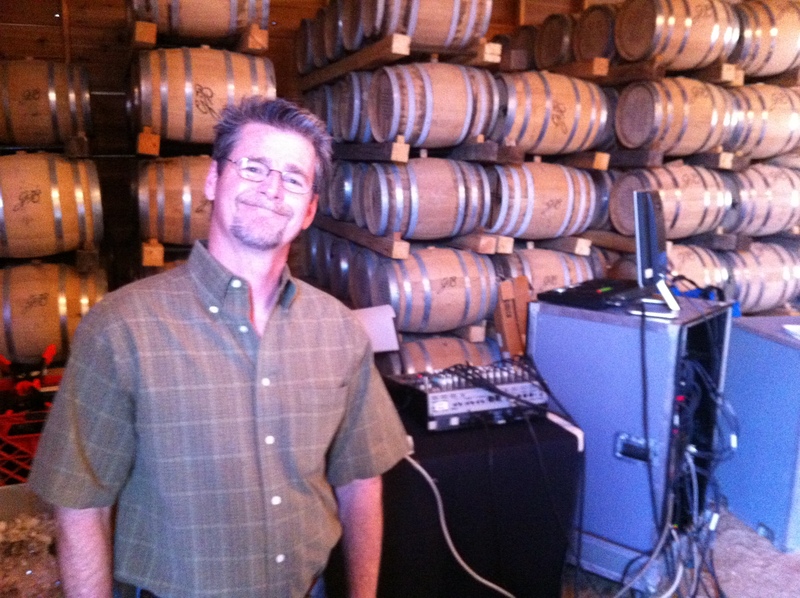 Reelsound Recording Co. owner Malcolm Harper engineered and mixed for the Houston Livestock Show and Rodeo 2014 music performances. 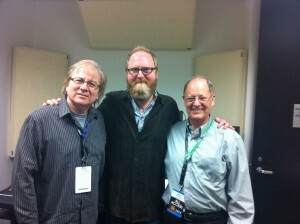 This marked Harper’s 20th season at HLSR. The performing acts were a who’s who of current and past musical favorites; Brad Paisley, Ely Young Band, Reba, Usher, Chris Young, Selena Gomez, REO Speedwagon, Jason Aldean, Jake Owen, Maroon 5, Keith Urban, Hunter Hayes, Pesado, Banda MS, Luke Bryan, Robin Thicke, Florida Georgia Line, Blake Shelton, Easton Corbin, The Band Perry and Zac Brown Band. The concerts were recorded on a IZ RADAR DAW system with a 64 input fiber mic pre package of APHEX 1788’s. Engineer Malcolm Harper on stage at Rodeo Houston. TX Recording Academy friends; Danny Jones, Eric Jarvis and Malcolm Harper at Rodeo Houston 2014. Recording concert at TX State University; Engineer; Malcolm Harper, Alto Sax Soloist; Todd Oxford and Composer David Heckendorn of “Winds of Time”. Reelsound’s mobile audio truck broadcast Hank Newburger’s Springboard Productions streaming from the Samsung Galaxy stage for ACL Festival 2014. Concert artist were; Wild Nothing, Widowspeak, Jimmy Eat World , Local Natives, Artic Monkeys, Muse, Mona, Walk The Moon, Silversun Pickups, Wilco and Kings of Leon. 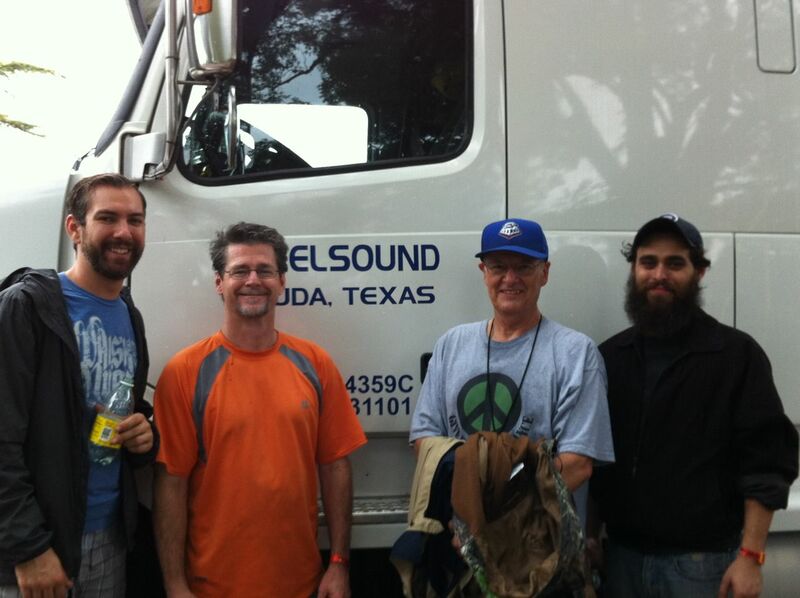 Reelsound mobile audio crew for Austin City Limits Festival 2014. Will Harrison, Mason Harlow, Malcolm Harper and Jonathan Montemayor. Malcolm Harper mixed the broadcast with assisting engineers Will Harrison, Mason Harlow and Jonathan Montemayor. © Copyright 2012 Reelsound Recording Co. | Join me on Facebook.